New creations and designs from RPM Jewellery and Karen Ryder. What is in progress at the workbench... Check out the progress of different projects. Custom Designs There are 51 products. 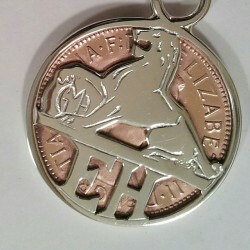 Genuine Australian Penny encased in a unique sterling silver Holden GMH / EH design. 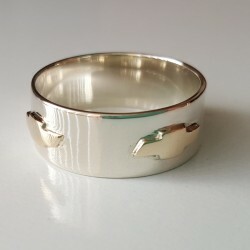 Individually made and designed in Australia by RPM Jewellery. Modeled after the 1930s GMH Lion this pendant or key ring is perfect for all Holden fanatics! 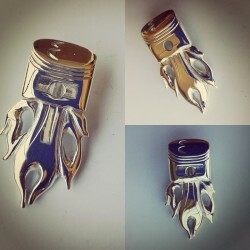 "Hot Conrod" Flamin' Piston Pendant in solid sterling silver. Show how "hot" your engine is with this serious firey piston with flames pouring from the base of the piston. Original design handmade and crafted by Karen Ryder in the RPM Workshop. 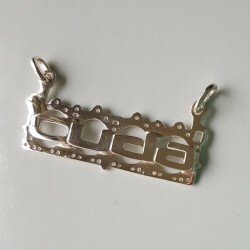 Miniature replica of a Chrysler 440 Head Gasket with raised 'Cuda' text. Identical replica of an engine head gasket with text soldered to the top individually as per customer request or just the gasket as it is. Original design handmade and crafted by Karen Ryder in the RPM Workshop. 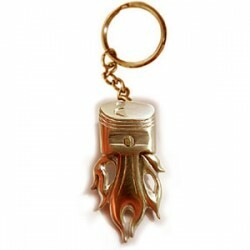 "Hot Conrod" Flamin' Piston Key ring in solid sterling silver, brass or bronze. Show how "hot" your engine is with this serious firey piston with flames pouring from the base of the piston. Original design handmade and crafted by Karen Ryder in the RPM Workshop. Holden Torana A9X SLR Front End Grille ring. Holden Torana (A9X / LH / LX) Grille Front End Ring modelled on the front end of a classic Holden Torana A9X from RPM Jewellery. 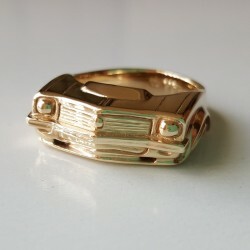 A seriously Australian Holden ring to suit the serious Torana aficionado. Handcrafted and designed by Karen Ryder in NSW, Australia. 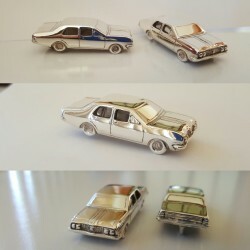 Genuine Australian Penny encased in a unique sterling silver Holden EH design. 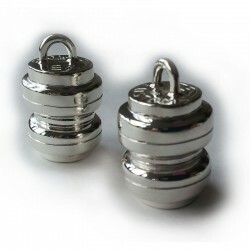 Individually made and designed in Australia by RPM Jewellery. 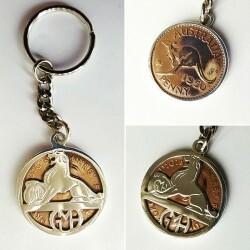 Modeled after the 1930s GMH Lion this pendant or key ring is perfect for all Holden fanatics! Any model vehicle logo or design can be created. 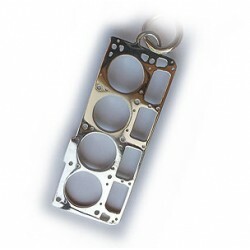 Sterling silver Airbag (air ride) suspension in a key ring or alternatively as a pendant. RPM Jewellery. Made in Australia by Karen Ryder.